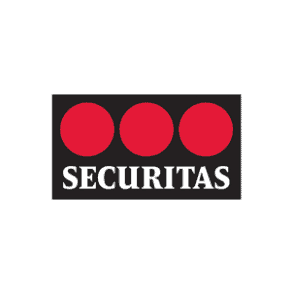 As one of the world’s largest security providers with a global team of over 330,000, Securitas differentiate themselves in the market by focussing purely on security services and by investing heavily in their Protective Service Officers (PSOs). 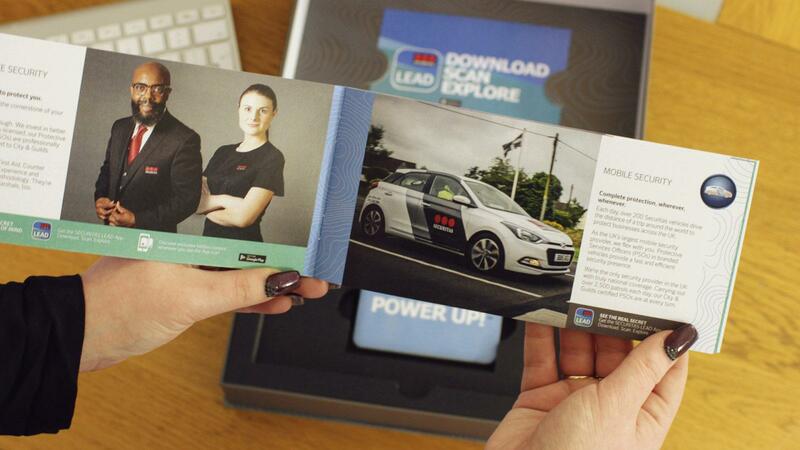 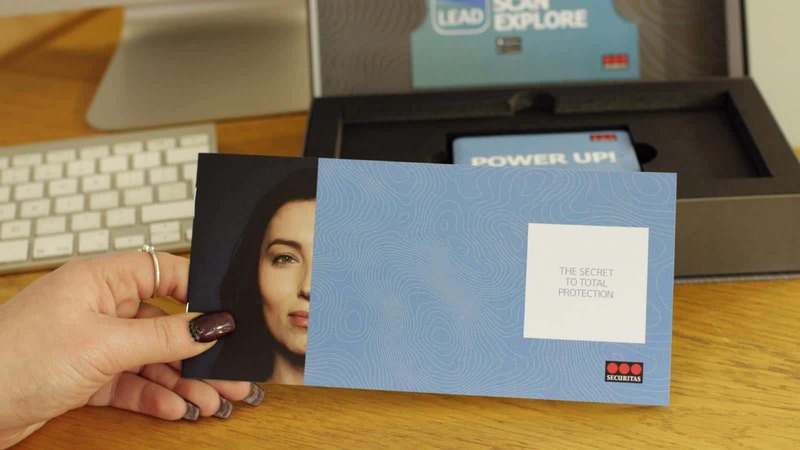 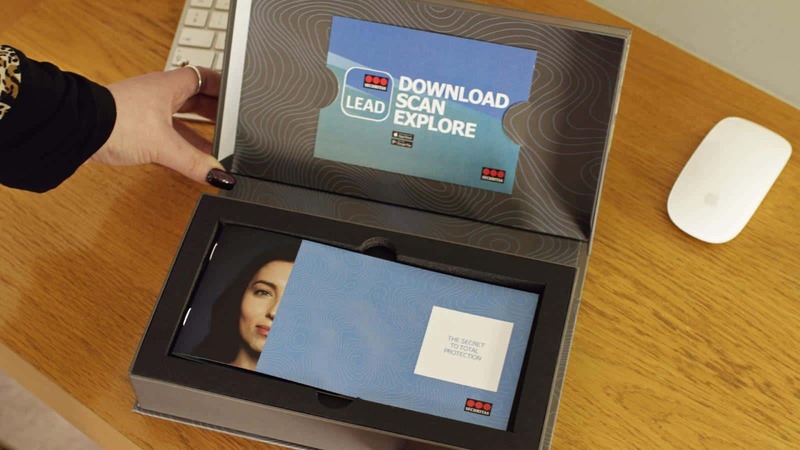 We developed an augmented direct mail experience which enabled Securitas customers to bring the PSOs to life using AR, showcasing the brand’s point of difference (their highly trained personnel) in a unique and interactive way. 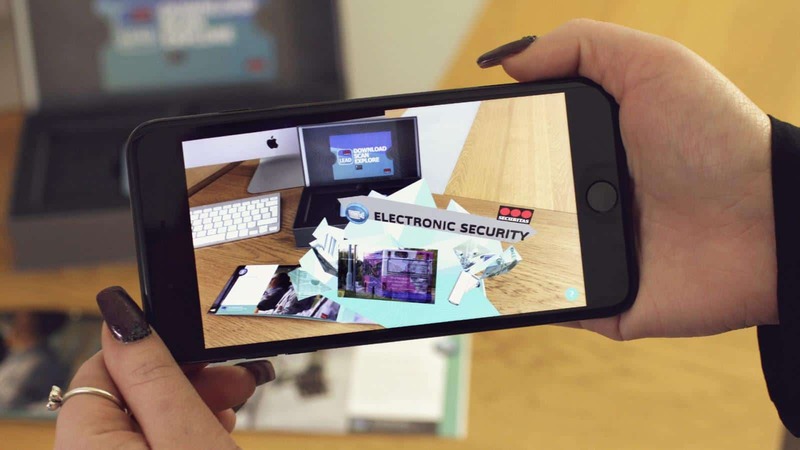 Customers who receive the augmented brochure are able to access the AR experiences via a branded Securitas LEAD app which is free to download on the App Store and Google Play. 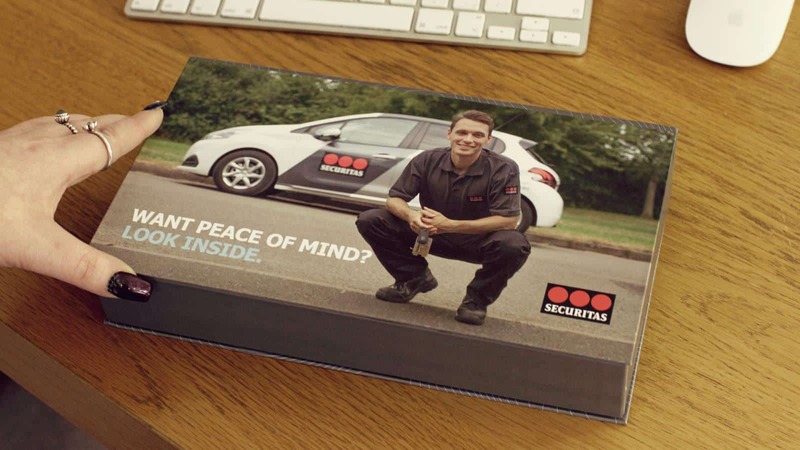 Once downloaded, users simply scan pages from the brochure to reveal ‘virtual PSOs’ introducing the Protective Services offered by Securitas. 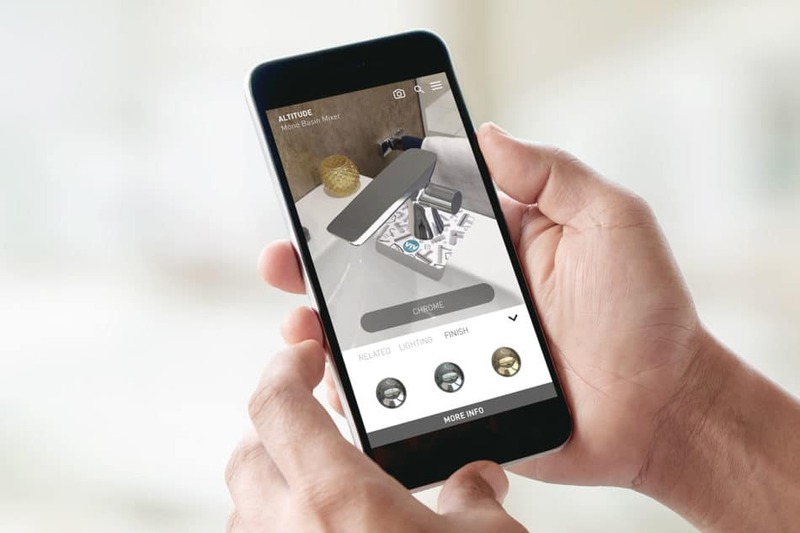 Users can then interact with the 3D AR environment to click through to additional video content. 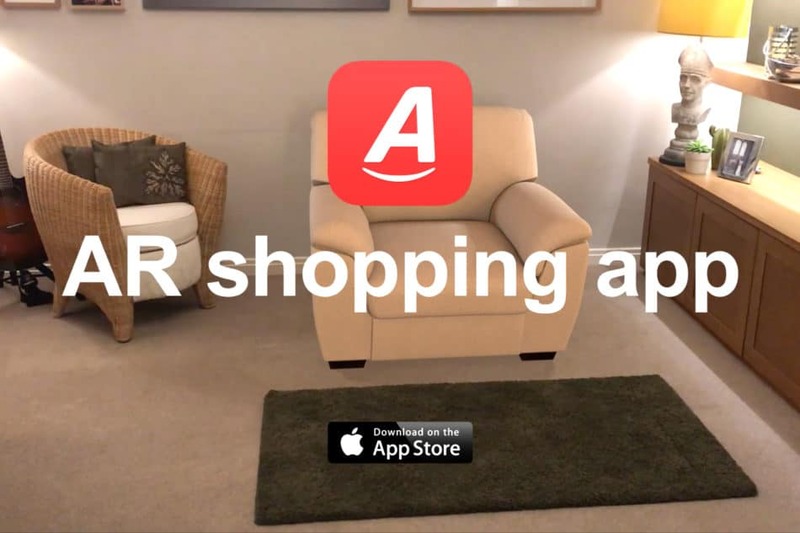 All PSO video content was filmed in a green screen studio and edited and optimised for the AR experience by the Engine Creative team. 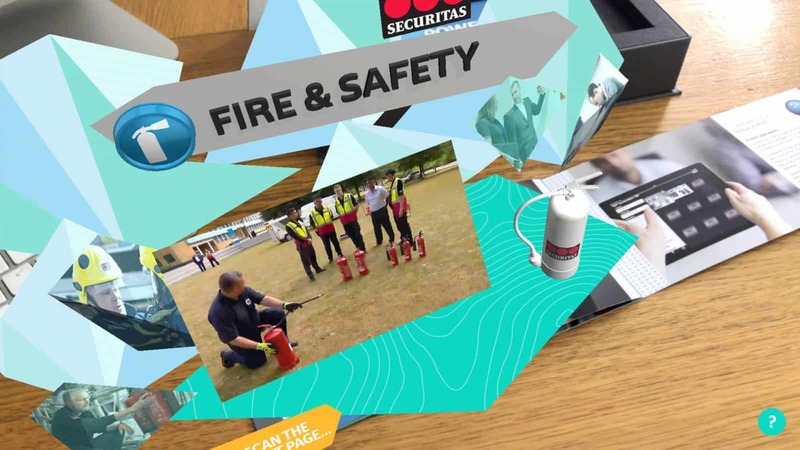  Placing the PSOs front and centre when it comes to brand communications is key to the Securitas brand standing out in a highly competitive market and the AR experience perfectly reflects the blend of people, technology and knowledge which underpins the success of the business. 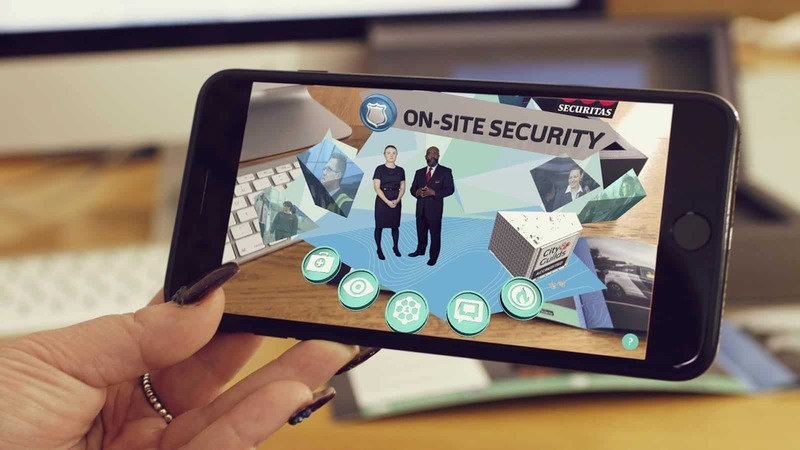 The augmented reality brochure is the first of its kind in the security sector and additional AR experiences are being planned by Securitas to capitalise on this innovative first-to-market solution.